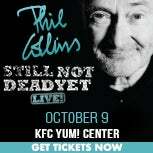 Due to overwhelming demand a limited run of Phil Collins Still Not Dead Yet, Live! dates have been confirmed for fall 2019. The 15-city limited engagement will kick off September 23rd in Dallas, TX and make its way to Louisville on October 9th. 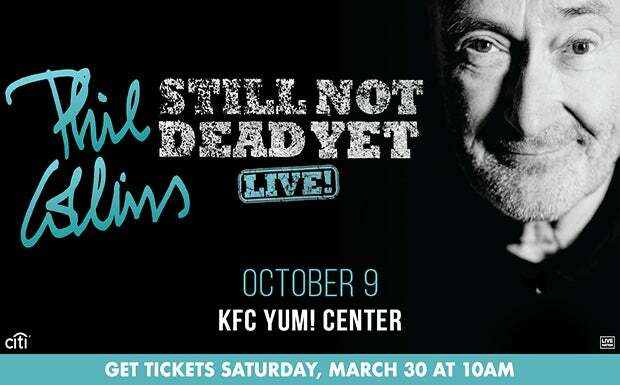 Tickets for all dates go on sale Saturday, March 30th.